EverBank, a division of TIAA, FSB, today announced a $1.5 million contribution to the Step Up For Students Scholarship Program. The donation will fund about 229 scholarships for the 2017-18 school year. This marks the 14th year EverBank has supported the scholarship program. Since teaming with Step Up in 2004, the company has contributed more than $14.5 million, the equivalent of 3,050 scholarships. Step Up For Students and EverBank, a division of TIAA, FSB, celebrated EverBank’s support of the Florida Tax Credit Scholarship Program at St. Matthew’s Catholic School in Jacksonville on Thursday (Jan. 25). EverBank’s donation of $1.5 million will fund about 229 scholarships for the 2017-18 school year. Pictured back row from left to right, Step Up Chief Financial Officer Joe Pfountz, St. Matthew’s Principal Kathy Tuerk, Step Up Development Officer Renae Sweeney and TIAA, FSB, Vice President and CRA Officer Joseph Hernandez. The announcement was made at St. Matthew’s Catholic School in Jacksonville, which serves prekindergarten through eighth grade students. Nearly 40 percent of its 225 students use Step Up For Student scholarships. Step Up For Students is a nonprofit organization that helps administer the Florida Tax Credit Scholarship Program for financially disadvantaged Florida schoolchildren. The program is funded by corporations with tax-credited donations and allows parents and students to choose between a K-12 scholarship to support private school tuition and fees, or one that assists with transportation costs to out-of-county public schools. For the 2017-18 school year, Step Up For Students is serving more than 100,000 students throughout Florida with tuition scholarships valued at up $6,343 per student for K through fifth grade, $6,631 for sixth through eighth grade and $6,920 for ninth through 12th grade. More than 1,700 private schools participate in the scholarship program statewide. Reach Paul Soost at psoost@sufs.org. Step Up For Students has been selected by the Jacksonville Business Journal as one of the best places to work in Jacksonville for a company between 100 and 245 employees, the newspaper announced Tuesday. Step Up is in good company in that size category with companies such as the Jacksonville Jaguars, Florida Capital Bang and Omni Hotels Jacksonville, among others. Step Up For Students is a nonprofit that helps run the Florida Tax Credit Scholarship Program for lower-income K-12 students, funded by corporate donors, and the state-funded Gardiner Scholarship for students with certain special needs. Combined, the programs are serving more than 100,000 students for the 2016-17 school year. Step Up For Students employs 194 full-time employees in its Jacksonville, St. Petersburg and remote locations. 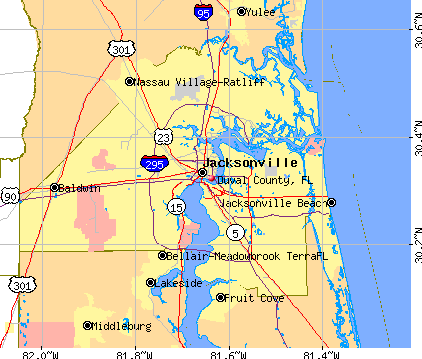 The Journal’s recognition applies only to the Jacksonville location where 127 employees are based. The Journal has been partnering with Quantum Workplace, an employee engagement research firm, collecting data from surveys taken by each company that submitted an application. Finalists are chosen by analyzing the results of the employee satisfaction data. In the application survey, it asks why a company should make the list of the Best Place to Work and what programs have been implemented to make the company a great place to work. “Valuing the employee is of utmost importance to us, and hopefully when reading the other responses, it is evident that we take this to heart based on the support and opportunities employees are provided,” states one of Step Up’s responses. Another response also points out that Step Up leaders have also committed to working on relationship management, as well as investing in employee happiness by creating a new department called Organization and Professional Development, which focuses on overall wellness of Step Up employees. “Our goal is to promote our two core company values through these areas: Every employee is an asset. Every event is an improvement opportunity. It has become ‘the way in which we do things,'” according to information sent to the Journal. Company rankings will be announced during an awards ceremony on June 22 at the Omni Jacksonville Hotel. Judith Thomas, Step Up’s new social media manager, enjoys traveling and here is pictured in Scotland in 2015. Judith grew up in Germany and first came to live in the U.S. in January 2004 as an au pair – a nanny – for a family in New Jersey. Shortly after, she moved to Jacksonville, Florida, with her au pair family. She fell in love with Florida and her future husband, Josh. After her au pair year, she went back home to Germany for college. She majored in American Studies and Rhetoric at the Eberhard Karls University, one of the oldest universities in Europe located in the picturesque town of Tuebingen. During her time in Tuebingen, she worked as an education advisor and public relations assistant for the German-American Institute starting her career in social media and marketing. After graduating, Judith moved to the U.S. in May 2012, and first worked for a local gym in Jacksonville to develop and grow their social media presence. The last four years she has worked in the communications department of an association management company in Jacksonville where she developed strategies for social media, communications and marketing for multiple nonprofit healthcare associations. In her free time, Judith loves to travel – no matter if that means exploring local destinations or other cities, states or countries. When she is traveling, her husband and her Nikon D3200 camera are her steady companions. She inherited her passion for photography from her dad, who probably has about a million pictures of her and her two sisters growing up for which Judith is very grateful. She also loves reading, yoga, the beach, camping, baking (German goodies), good food, and spending time with her family and friends. Judith joined Step Up For Students in April 2017 as the first full-time social media manager. She is excited about the opportunity to develop strategies for social media and increase awareness of Step Up For Students through social media. Editor’s note: Around here at the Step Up For Students office, Denisha Merriweather is a household name, so to speak. Since she became a scholar in sixth grade, we have cheered for her, watched her grow, celebrated her achievements, and best of all, gotten to really know her. Now we’re thrilled to call her a colleague as she recently joined us as an intern and as the first Step Up scholar to join our staff. We’re proud to have her here. And we hope this is the first of many scholars to become part of our team. Hi! I am Denisha Merriweather, recipient of the Step Up For Students scholarship, high school graduate, master’s student at the University of South Florida in Tampa and the newest member of the Step Up team as intern! I was a Florida Tax Credit scholar from the sixth through 12th grade. Before receiving the scholarship, I attended neighborhood schools, which changed often because my family moved around my hometown of Jacksonville, Fla. constantly. Due to that lack of stability, support and attention, my performance in school was below average. As a result, I ended up failing the third grade. Twice. Being two years older than everyone in my class was discouraging. I felt like a failure, and no matter how hard I tried to do better in school nothing seemed to help. Having no hope for the future, I could really see myself headed down a dark path, dropping out of high school and living my life full of constant struggle. Upon my entry in the sixth grade, my godmother found out from a family friend about the Step Up For Students scholarship, and applied. This allowed me to choose to attend Esprit de Corps Center for Learning, a private school on the north side of Jacksonville. The school was such a great fit for me. The classroom size was small and the teachers were extremely engaging. Esprit became my home away from home. Thanks to the scholarship, my confidence soared at Esprit de Corps. I knew I could do anything I put my mind to. I was exposed to many different opportunities, which changed my attitude about school completely – and life. I now knew I could go to college and maybe one day even receive a Ph.D.
Due to my life experiences, I have dedicated much of my free time to support the tax-credit scholarship program. I have shared my story with donors, legislators and people of affluence, but most importantly, I’ve opened up to other students. This has allowed more and more opportunities for these groups of people to gain an understanding about the Step Up For Students program and hopefully for them to get involved, so that Step Up can continue to make a difference in children’s lives across the state of Florida. I also share my story to give hope to those students who may be like me, but still struggling to find their paths to success. The children like me who have the potential to be more than they are, but just need someone to help lift them up, and show them they can change their life’s course for the better. For all of the kids who are like this, I urge you to realize that nothing is too hard for you to achieve. Things may look challenging and you may not see a way out, but know that there is a light at the end of the tunnel. You have a purpose and your struggle is pushing you closer and closer to it. Seize it. Now that I am a part of the Step Up team, I am excited to learn more about the scholarship program. Being a scholarship recipient, I had had some knowledge about the duties of the scholarship program staff. However, upon my first days in the office, I became quickly aware that Step Up is so much more, and a lot of work goes into making scholarships, and other school choice programs, possible for families in Florida. It has been surreal meeting all of the individuals who labor tirelessly for parents and children to have opportunities they never knew they could have. I have a new appreciation for the commitment of the Step Up team. Thanks guys! I am now ready to be a part of this great team and assist in making this program even better. Someone recently imparted great words of wisdom to me, saying that “People rarely succeed by themselves.” Understanding this, I zealously accept the role as an advocate for parents and children, standing in the gap, working for them, as someone once did for me. When Denisha isn’t hitting the books or standing up for school choice, she enjoys spending time with friends and attending bible study at her church. However, like most college students she loves to watch television and sleep. Denisha says she dreams to speak fluent Spanish and to one day learn how to play the Chinese violin.